I have kept Under the Moon a secret from you. I can’t tell you that this was the first time I went. 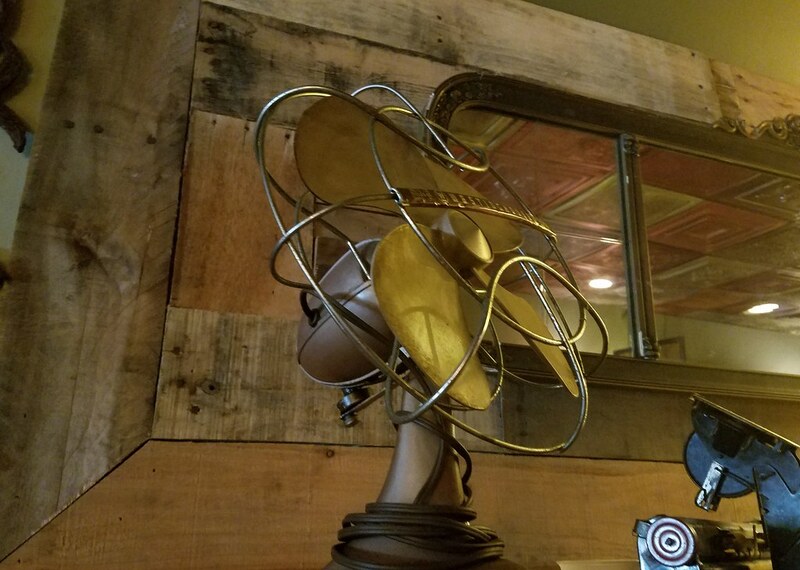 In all truth, I can’t count the number of times I’ve gone to Under the Moon and enjoyed one of their Cuban sandwiches, squealing the entire time about their decor, declaring my wishes to make the restaurant my home. I think, perhaps, I subconsciously blog only about places a slight distance away so as to not overpopulate gems in my own backyard. 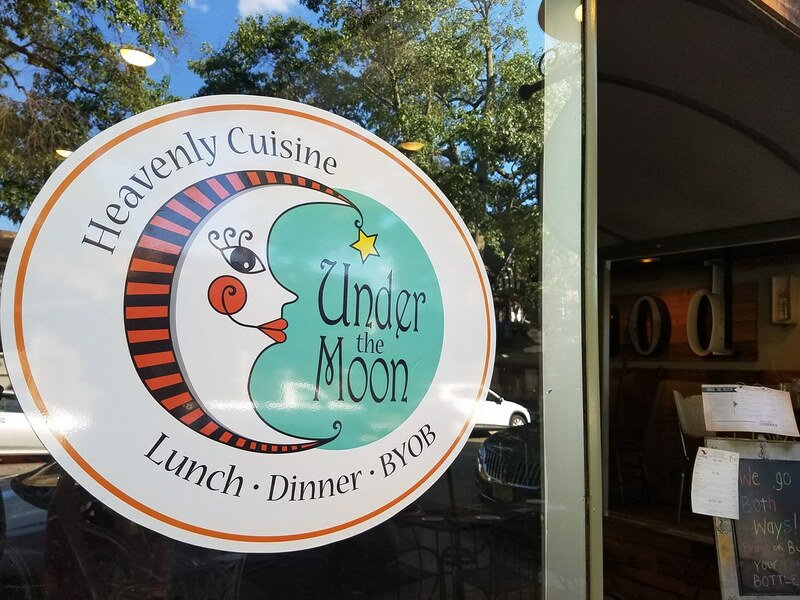 Whether grabbing lunch with a friend or going on an intimate night out with your main squeeze, Under the Moon caters to an abundance of preferences. 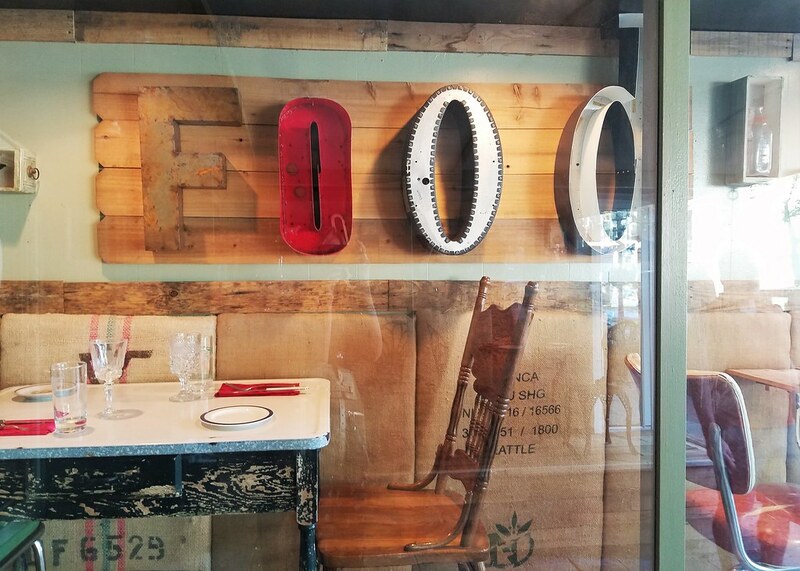 I didn’t expect Hubby to enjoy himself because although their decor of mismatched table settings, antique sewing tables, and walls covered in decoration one hundred percent meets to my tastes, he prefers a more modern decor with crisp, clean colors and simple, bold pieces. One of my favorite things about Under the Moon comes just after you order: fresh bread, toasted and served with homemade pesto. The pesto arrives in a square shot glass and is spiked with such flavor I have to resist the urge to drink every drop dry. We started with Albondigas (Spanish meatballs). They had the texture I love in an Italian meatball with bold Spanish flavors shining through in the tomato sauce. 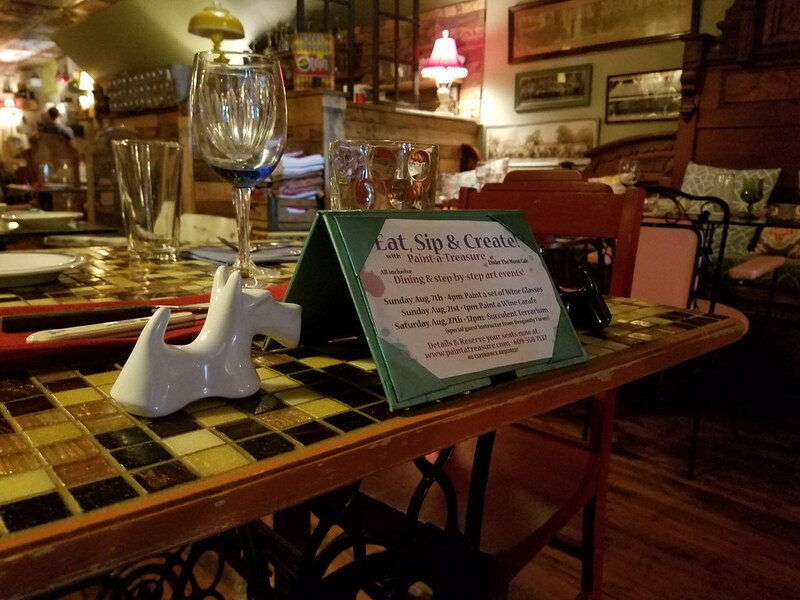 Restaurant Week pop up all over at this time of year and I often find Prix-Fixe menus to be hit or miss. Sometimes they offer a wide and unique enough selection that makes the deal worth it, other times I find the menu to only offer simpler meals I could easily make at home. 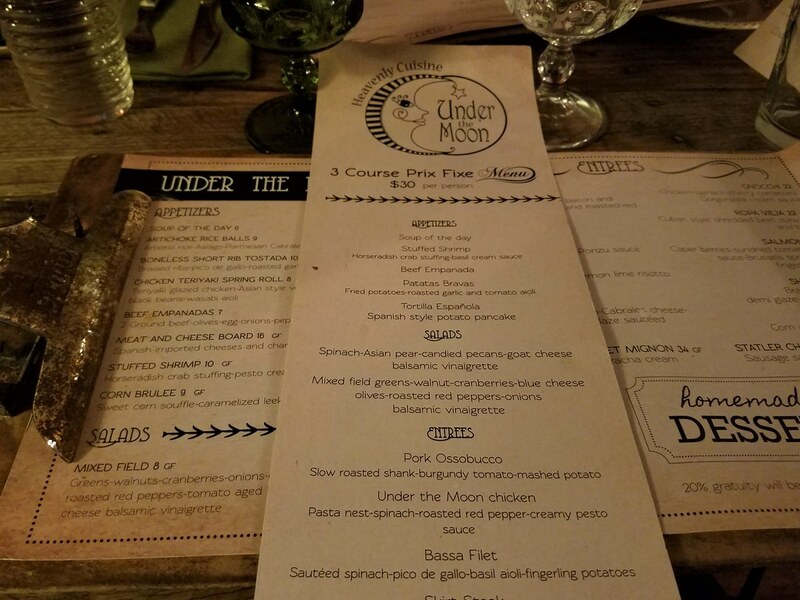 Thankfully, Under the Moon’s prix-fixe held intriguing starters, salads, and entrees that I could not resist. 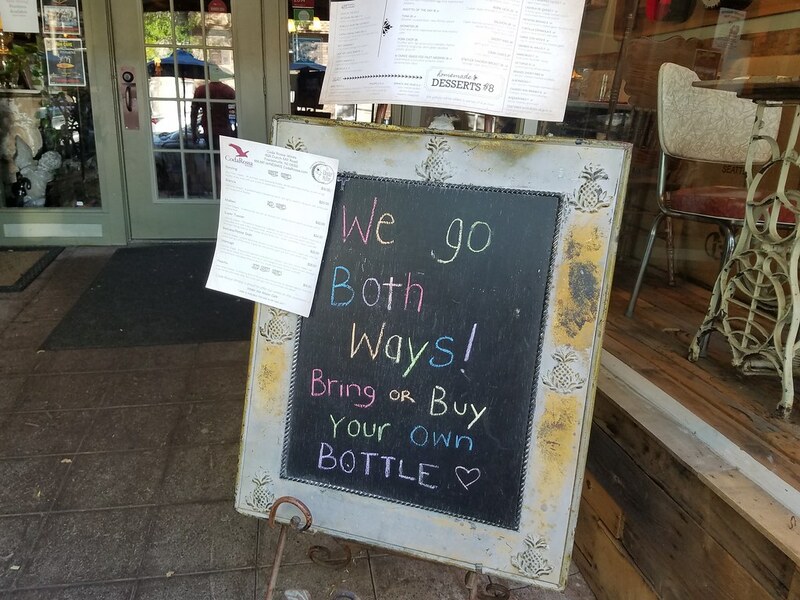 *And without any prompting, I promise! I have shied away from spinach salads for the past couple years after being fed up with the dried out texture that too much spinach and too little dressing creates on the roof of my mouth. 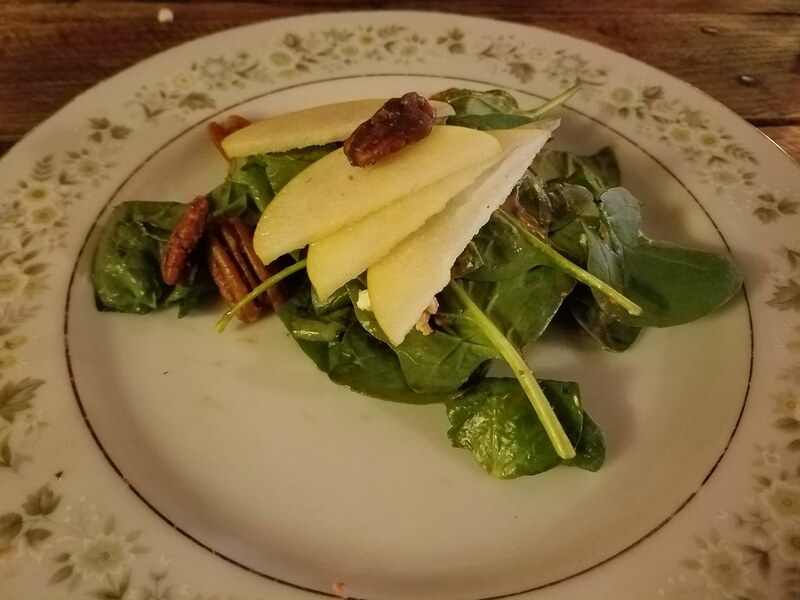 This salad of spinach, Asian pear, candied pecans, and goat cheese was a great return to spinach. The dressing was just enough to coat all the spinach without making it too dry or soggy. While goat cheese usually is too overpowering for me and pears usually too bland, both were delightful additions. 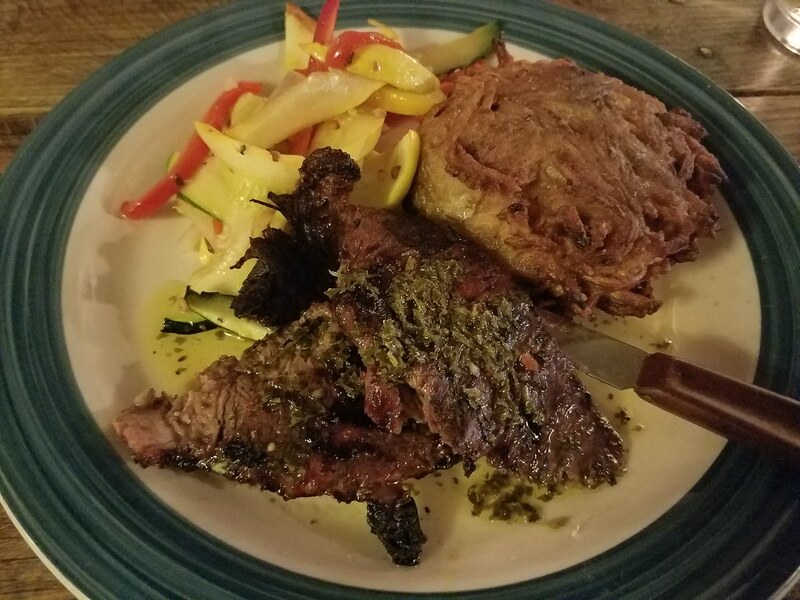 My grilled potato latke that came with my skirt steak was quite large, still I enjoyed the idea of it. I mean, how can anything made from potatoes be bad? That glorious grilled flavor infused itself throughout my skirt steak and the chimichurri sauce only added to the layers of deliciousness. Lance’s order was the real star…and he ate every bite. 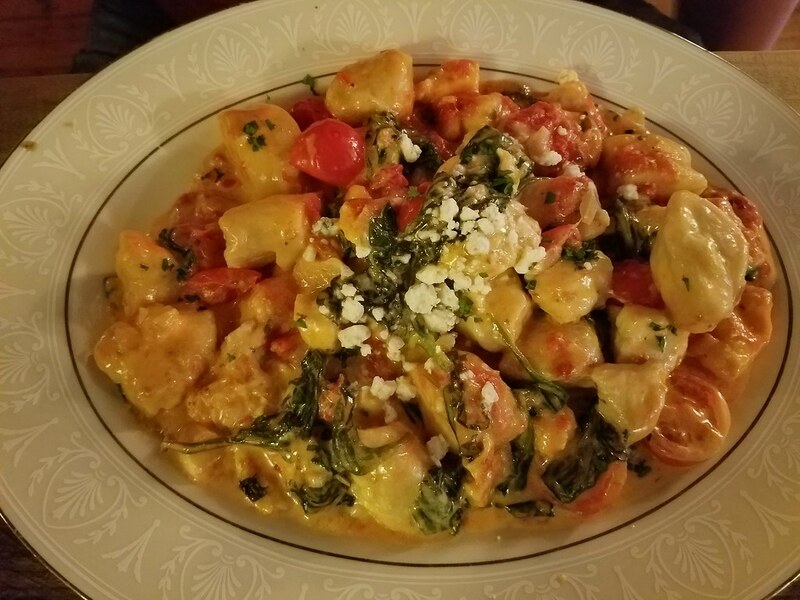 * Most times, if gnocchi is on the menu, he orders it. The different sized pieces made it obvious that the gnocchi was hand rolled and not dumped from some bag of generic frozen gnocchi. 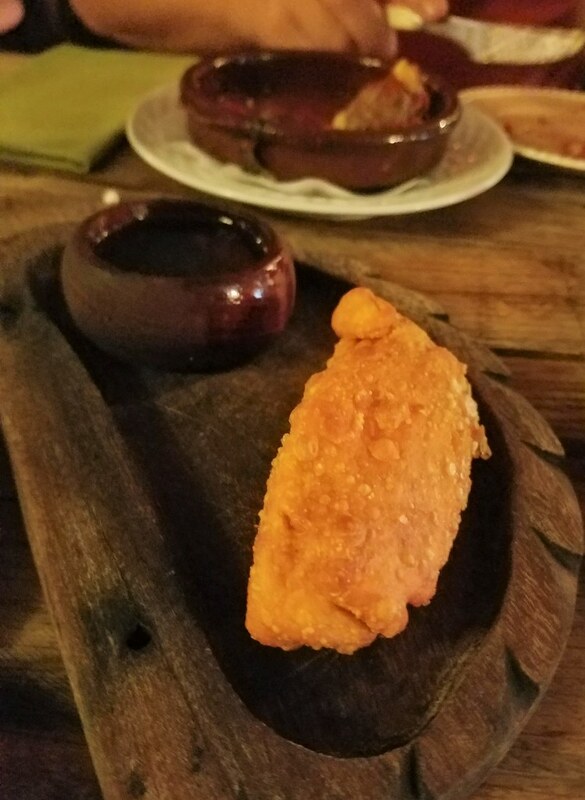 They had the light bite that gnocchi should have, as if your teeth are sinking down into a pillow of carb-o-licious splendor. The gorgonzola cream sauce mixed with cherry tomatoes created a lovely sweetness that balanced the strong flavor I often find gorgonzola to have. *Alright, he shared a little with me. *That, or, I simply forgot. And that temptress of a brownie? I can only imagine she is usually served warmed in the restaurant because fresh whipped cream was packed up in my doggy bag with my brownie. I warmed her up and discovered chunks of melted gooey chocolate throughout that made my eyes roll into the back of my head as I dug in for more. Yes. That brownie was everything I dreamed it would be.